April sales rebounded and rose 16% over April last year. Our local real estate market appears to be recovering despite the uncertainty from fallen oil prices. As many Alberta Buyers put their plans on hold, we are seeing an influx of Buyers from the lower mainland and the US. Lower interest rates are keeping local Buyers in the market as well. Read on for more details. Sales - The total sales for the 12 months ending April 2015 was at 1,007, still up 18.3% from the 12 months ending April 2014. Although the recovering market appears to be loosing some steam, this is still the highest volume of sales in the last 7 years since 2007 but lower than last month’s 28% increase. Inventory - The average monthly inventory of single family homes dropped 13% to 533 for the last 12 months ending in April 2015, again, the lowest average inventory we have seen in the last 7 years. Inventory has not been this low since 2008, at the start of the recession triggered by the US banking crisis. The 12 month average was the same as last month’s 13%. Sellers are realizing that there are Buyers out there looking for reasonably priced homes and they are finding them and buying quickly. 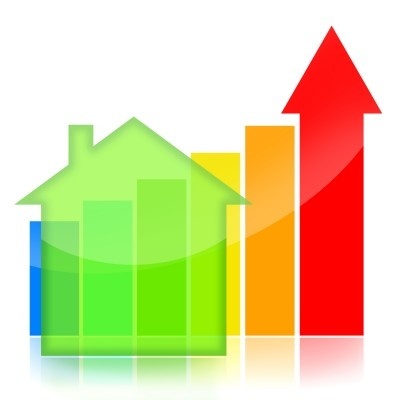 Prices - We are starting to see some slight upward pressure on average median prices. At $346,627, average median prices for the last 12 months ending in April 2015 are up 1.6% from 12 months ending in April 2014 and up 6% from 2013. As more Buyers enter the market and the inventory tightens, we will see more upward pressure on prices. Using an HPI (Home Price Index) is still the best way to determine the value of your home. The HPI considers all the sales of a typical house in a certain area and compares them to the same type of houses sold in the previous years. We find when we do an HPI that house prices are still doing different things in different areas and in different price ranges. I would be happy to do an HPI evaluation on any property you have or want to buy. Simply give me a call or send me an email. Absorption Rate - The rate at which our inventory is being absorbed by sales rose slightly compared to last month. The average absorption rate of 15.22% over the 12 month period ending April 2015, is still the highest in the last 7 years and up from last month’s 14.97%. At the end of April 2015, we are down to 6 months of inventory available on the market, down from last month’s 9. This is considered a Seller’s market favouring and will continue to put upward pressure on prices as Buyers compete for the available homes. From these numbers, it will be interesting to continue to watch how the spring market unfolds. It appears that Buyers and Sellers are moving ahead with their plans with Buyers leading the way. Sellers who have tried to sell their homes over the last few years will have a much better chance this year as we see more and more Buyers. At this point we still expect that the market over the next 6 to 18 months will be characterized by increasing sales and lower inventory moving more strongly towards a market that favours Sellers with more competition from Buyers and slowly rising prices. Prices will rise when consumer confidence gathers momentum and brings with it more Buyers putting downward pressure on available inventory.